Since decades, the world has been discussing on gender equality and when it comes to action, there are a very few groups working towards it. Let us learn from this young woman entrepreneur who has moved ahead to turn the vision into reality. In the current era where more women are being recognized for their unbeatable efforts and results, there is still a need for gender equality in almost every part of the world. “Statistically, no country in the world has reached gender equality so far. I would not deny that many women are growing successful in various fields today, but the fact that there are more women who are way behind the thoughts of even being independent cannot be disagreed either and that is where we need to focus on and hold hands with such women to help them in all ways possible” says Sneha Chandrashekhar, Founder & CEO of Black & White Tech Writing Solutions and a strong supporter of women empowerment. Sneha has now taken initiative towards the Goal No.5 of the listed 17 United Nations Sustainable Development Goals, Gender Equality which focuses on achieving gender equality and empower all women and girls. She will be leading and mentoring 360 meritorious youth from 180 countries on the Goal 5, along with 16 other Residential Experts who will lead each goals as a part of the Merit360 which is an initiative of World Merit (www.worldmerit.org), an organization that is connecting meritorious youth from across the Globe. 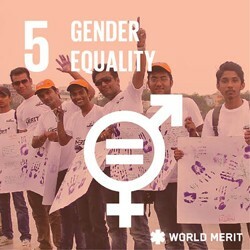 She also states, “World Merit is a great platform investing in the right knowledge resources, connecting the like-minded young visionaries from 180 Countries and is creating a new eco-system the future generation will follow”. 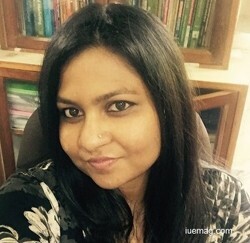 Sneha’s vision to empower women from within, emerged from her childhood experiences where she realized that women need to be empowered not just economically, but also psychologically, emotionally, socially and politically. For the responsibility she has taken, of being the Residential Expert for World Merit SDG5, she is forming an association called ‘Arise Worldwide’, under which she has initiated Women Enlighten | Empower | Equalize (WE3), a project that will enlighten the women to understand their rights and help them know what to do, empower them through inspirational talks, counselling sessions, inviting leaders or entreprenurs who can help them economically, which will all result in equalizing them with the men. The focus will be to empower women who are yet to explore the world of opportunities, blue-collar workers who need to be enlightened, women who have been dragged into a world where they are unaware of the happenings in the society. 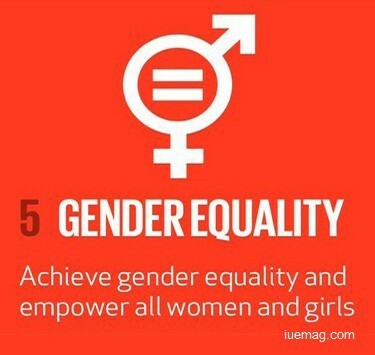 Today, countries like Iceland, Finland, Norway and Sweden stand as an example to help achieve gender equality. Women in Iceland almost have equal access as men, to all rights from education to health to the country’s political and economic life. No doubt that the Icelanders rank high amongst the happiest and healthiest people on earth. The solution lies in equality and women empowerment doesn’t mean to overpower men, but help women achieve equality with men and enjoy equal freedom. Sneha affirms to this and also adds, “It is almost impossible for a single person to take responsibility of this huge problem and it can only happen through more hands joining, to help reach the goal of gender equality. It’s not just women who need to empower other women, but every individual holds equal responsibility to help achieve this goal. The youth of every nation is its strength and it is important for them to involve in solving problems in the society in the smallest way it is possible for them. I am also taking small steps towards empowering women, but, doing it in the best way I can is more important for me. The whole of the society keeps blaming those who do not fulfill their duties but it is important to understand and realize that, we do not have to waste our time blaming, but act upon it and stand as an example to the rest”. Any facts, figures or references stated here are made by the author & don't reflect the endorsement of iU at all times unless otherwise drafted by official staff at iU. This article was first published here on 27th October 2015.